Visit The Heritage Society now through January 16, 2016, to view the exhibit. The fall issue of Houston History will be available on November 19, 2015. 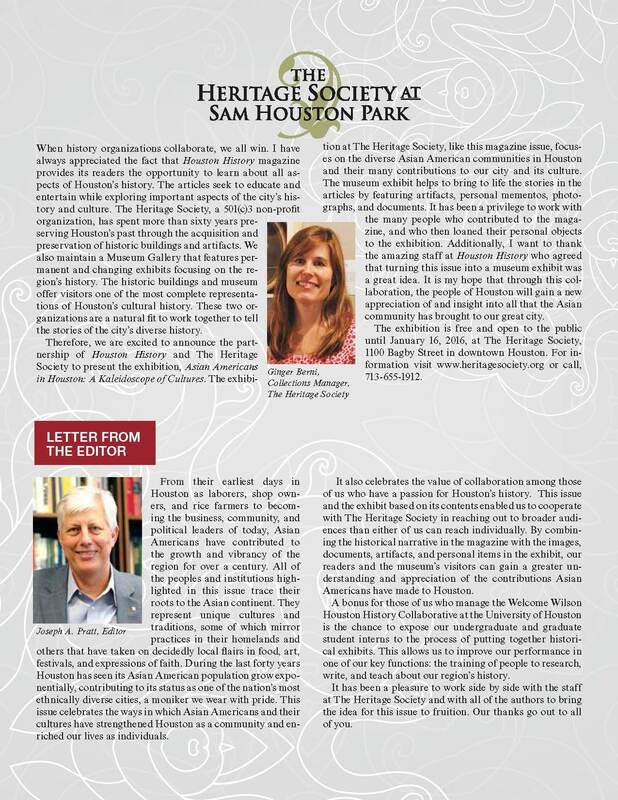 Please see the image below to read letters from The Heritage Society’s collection manager, Ginger Berni, and Houston History‘s editor, Joe Pratt, about this collaborative effort, followed by the full Table of Contents. North America Taiwanese Women’s Association: Sisterhood is Powerful!